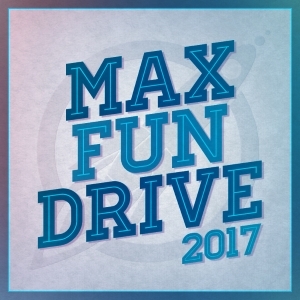 Make some new friends at the 2017 MaxFun Meetup Day! On Tuesday, March 28 at 7:00 PM local time, MaxFun listeners will be gathering across the nation to celebrate all things Maximum Fun! Look for Joe and Sue! Look for Ron and Kelsey! Look for Will and Emily! Look for Dawn and Benjamin! Head into Goodnite Gracie (bar area of the restaurant) and look for Allison Pellerito! Look for Morgan Thompson and Greg Harries! Look for Andrea Streeter & her MaxFun rocket coloring page! Trivia starts at 7:30! Say hi to Rob Core with the sound equipment at the door. Stay for free trivia at 8 pm! Lots of parking, cheap drinks, skiball and free pool! And look for 'tori Christensen! Look for Hayley, wearing green MaxFunCon t-shirt and Bullseye bandana! Mezzanine level - come upstairs, and look for Kristy Overton! Look for Jonathan Levine and Jackson Ritter! Main meet up starts at 7pm, but those with kids can show up at 5pm for a family affair! Look for Leigh and Eliot! They'll be wearing their OBM and TSOYA t-shirts! Look for Emily Iris Baird! Event starts at 6pm so Graham Clark can make it! Look for Elissa Janca (wearing her Summer Boi T)! Metro Marx Dormoy or Gare du Nord. The esplanade is on rue Pajol. Look for Thomas in the yellow GARABA t-shirt!